A sustainable film made from a byproduct of kombucha tea could be a new material for clothing, shoes, or handbags. 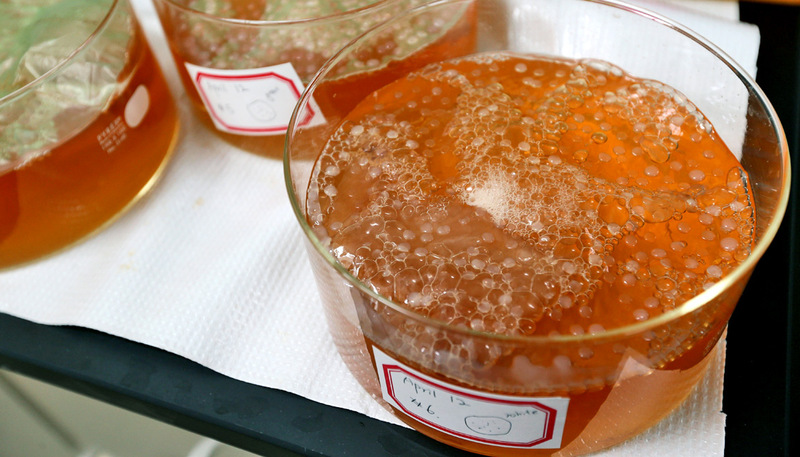 The gel-like film, grown by a symbiotic colony of bacteria and yeast (SCOBY), feeds on a mixture of vinegar and sugar. Young-A Lee, an associate professor of apparel, merchandising, and design at Iowa State, says the properties of this SCOBY film are similar to leather once it’s harvested and dried, and can be used to make clothing, shoes, or handbags. In a chapter of the book Sustainable Fibers for Fashion Industry (Springer Singapore, 2016), Lee reports the results of her case study on cellulosic fiber. The material has been tested for other applications, such as cosmetics, foods, and biomedical tissue for wound dressing, but it is relatively new to the apparel industry. The fact that the fiber is 100 percent biodegradable is a significant benefit for the fashion industry, which by its very nature generates a lot of waste, Lee says. Lee envisions a truly sustainable fabric or material that is biodegradable and goes back into the soil as a nutrient rather than taking up space in a landfill. And using the SCOBY gives new purpose to the tea byproduct, lessening the fashion industry’s dependence on nonrenewable materials. Working with a novel fiber has its challenges. Lee and her research team received a grant from the Environmental Protection Agency to develop sustainable clothing and shoes from the harvested cellulosic fiber. 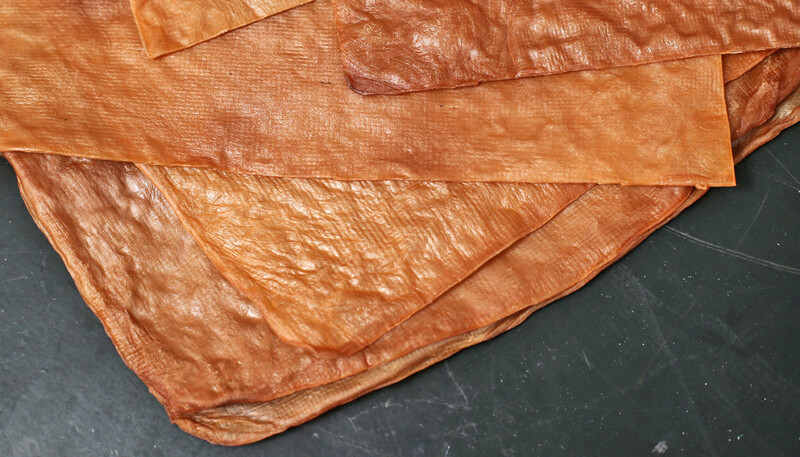 They’ve conducted several tests to determine if the SCOBY-based cellulosic fiber is a viable alternative to leather for the fashion industry. The tests revealed that one of the biggest problems is moisture absorption from the air and the person wearing the vest or shoes. The moisture softens the material and makes it less durable. Researchers also discovered that cold conditions make it brittle. Mass production is another issue to confront. Lee says it takes around three to four weeks, depending on temperature and room conditions, to grow the material in the lab. Her team is working on how, and if it is possible, to reduce the growth cycle for mass production. “It does not take that long to make certain synthetic materials, but for this new material we are proposing, it requires a certain amount of time to grow, dry, and treat the material within specific conditions,” Lee says. Would you wear the material? Despite the challenges, Lee says this is a necessary step forward. More is at stake than just the waste from cheap, disposable clothing. The chemicals used to make the synthetic materials and dye fabrics can contaminate the water and soil, Lee says. 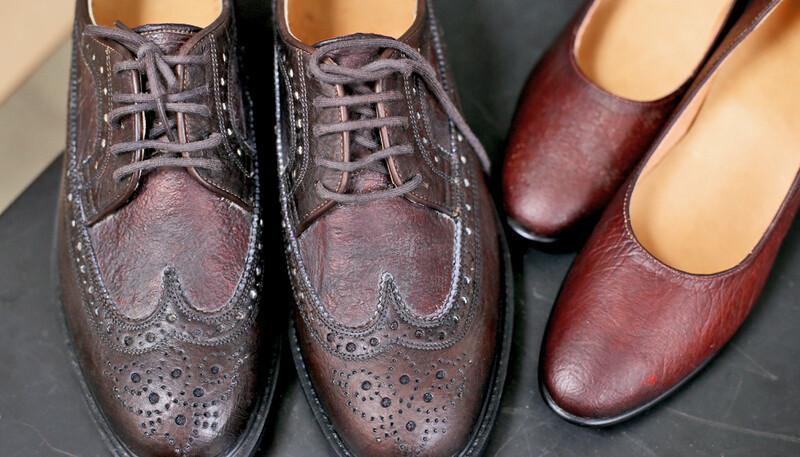 The fashion industry is working to do better, but consumers must also be on board. Supporting an environmentally friendly brand is important for many consumers, but the look and feel of the clothing will drive purchase decisions. Lee and her team surveyed college students to gauge their response to a vest prototype made from the cellulose fiber. 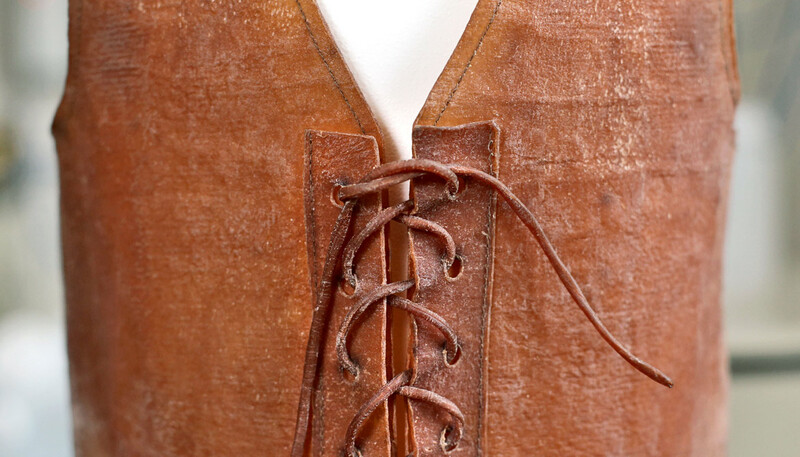 The majority thought it was made of leather, rawhide, paper, or plastic. Survey participants were most concerned about the color and texture of the material, and questioned the comfort, durability, and care. They had a positive attitude about the material because of its sustainability, and thought it was an interesting alternative to leather. However, their willingness to purchase a product made of this material was not as high. Still, Lee is confident that researchers can successfully work through these concerns and provide a safer and viable option to benefit people on many different levels. Lee and her research team hope it will prompt consumers to think about what they can do to promote and support sustainable fashion practices.